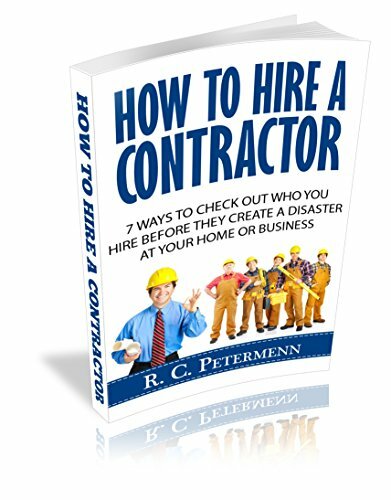 Everyone has heard a few contractor horror stories or have one of your own. If you watch what's happening in Washington DC these days, you might realize lies and deception are everywhere. What homeowners don't realize is they're partially to blame when there are problems. You can spot most problems before you hire them, if you make time to check out contractor qualifications. Don't think you know how to do due diligence? What if I said what you'll learn is a business owner's attention to detail. Unless you're a business owner, you don't realize the hoops we have to jump through. If a business owner like myself makes the time to follow the law, it most likely means I'm ethical. When I'm willing to complete required business paperwork on time, it means I also pay attention to details when working on your project, big or small. Here are the 5 ways in which you can check contractor qualifications before you hire them. 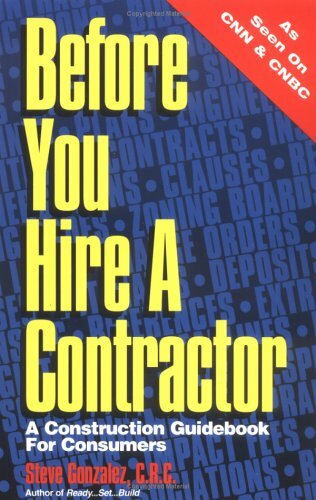 The first thing you want to do is make sure the contractor is properly registered and licensed in the state where you live. Wondering why? You gain the confidence that this business is legal, that the business owner cares about their reputation. You may also receive some legal protection if the project doesn't end satisfactorily. For example, in Massachusetts there is a Home Improvement Contractor Guaranty Fund that will pay up to $10,000 of actual losses if you win your case and the contractor fails to pay you. In addition to registering a business, many states also require contractors to be licensed. Massachusetts has their Look Up a Home Improvement Contractor while New Hampshire only requires plumbers, electricians and those handling natural gas to be licensed. If you need more tips, read How to Verify a Business License Online. Lastly, all contractors in the US are required to have a Renovation, Repair and Painting (RRP) license if they work on any homes built before 1978. 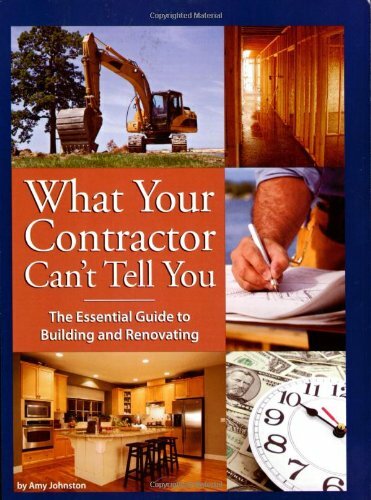 Don't be surprised if contractors have some but not all of the required licenses. Ask them about the missing ones and use your instinct to decide if that's good enough or pick someone else. Unless you've owned a home improvement company, you don't realize how important and aggravating business insurance can be. My experience paying insurance companies for eight years was horrible. They're great at collecting money but there's no customer service. What you get is what you fight for, like getting a van inspected to prove there was no injury. There's an easy way to check the insurance coverage of prospective contractors. Ask them for a copy of their insurance certificate (one of my old handyman business certificates). Here's the insurance coverage I had for my handyman business. General liability insurance – protects a business from bodily injury, property damage or personal injury that occurs from business operations. Automobile insurance – as my technicians drove company vans to insure that they arrived on time, one of the businesses benefits. Worker's compensation insurance – covers medical expenses and lost wages for accidents that occur on the job. Employee dishonesty insurance – covers employee theft of money, securities or property belonging to the business or customers. It's amazing how few homeowners ask for references. With my handyman business, only two or three homeowners out of every 100 asked for references. This is an important step and one that shouldn't be difficult. You'll talk to others who've walked the same path you're following, so call them and learn about their contractor qualifications. How comfortable were you with the crew working in your home? Did they arrive on schedule and clean up at the end of the day? How good were their communications on a day-to-day basis? Did they answer all your questions and let you know what was coming next week? Were you comfortable with the written documentation you received, the payment schedule and how any change orders were handled? Where did their estimate fall compared to others you talked to? To continue growing professionally, you need to participate in trade and business organizations. Active membership demonstrates a commitment to building news skills and giving back to the community. When I owned my handyman business, I was a member of the National Association of Home Builders (NAHB). This was my peer group where I got advice on technical and business questions. It's where I took classes to develop new skills like home modifications to help people stay in their homes longer. And I continue to attend the world's largest home show each year, the International Builder's Show (IBS). It was also important to join business groups like the chamber of commerce. That's where I found business resources for printing, health insurance for my employees and so much more. Before the Internet became our primary research tool, the Better Business Bureau (BBB) was the number one resource for business feedback. Sadly they haven't invested in technology to stay ahead of their competitors. They also charge business owners quite a bit to become accredited, plus additional fees to use their logo online. You're better off picking one online rating site and learning how to use it effectively. Ask friends and try a few out, until you find the best review site for your area and your personality. Angie's List works well in populated urban areas where they've developed a strong base. Yelp which I initially thought was better for restaurants and retail stores, works amazingly well in some areas. Moving to the Phoenix area recently, I used Yelp to pick my new HVAC company. I was under a lot of pressure with our home a virtual oven (95° F for six weeks). Yelp confirmed the repair people being sent by the home warranty company weren't great so I used Yelp to find my new HVAC company.